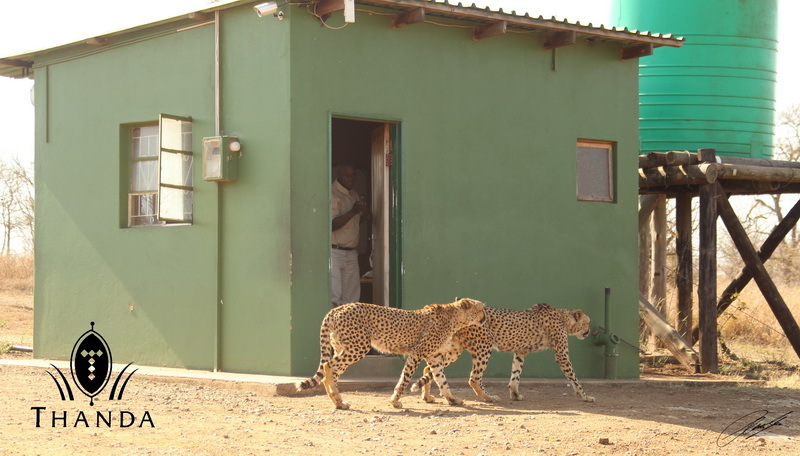 When I returned from a day in Richards Bay two male Cheetahs were greeting me at the gate guard house (These Cheetah are very used to the gate traffic and ignore the guard in the building – he is perfectly safe :-)). 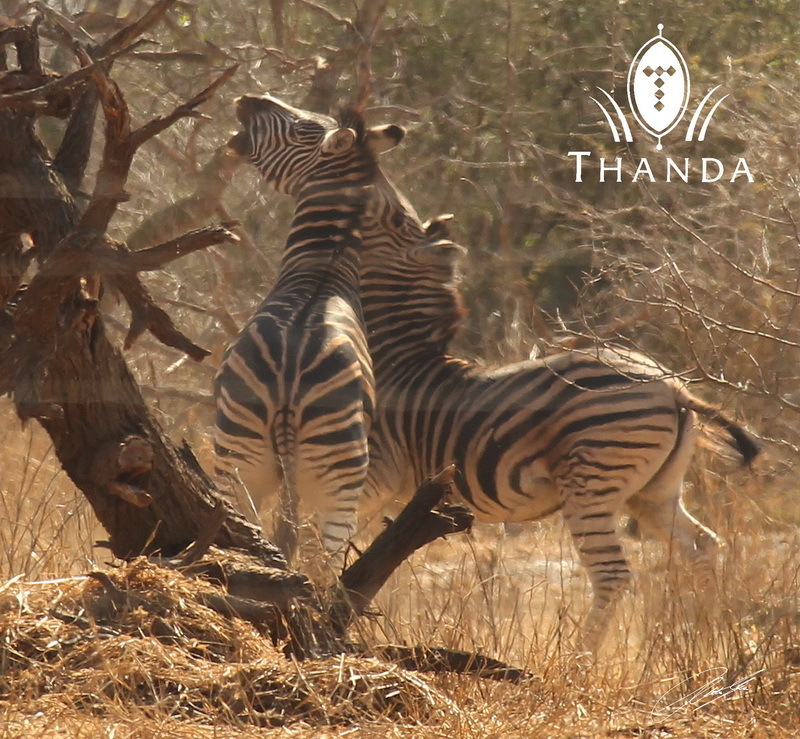 And once I had returned to Thanda house two Zebra had a good fight in front of the fence (the “whitish” distortions in the picture). Before the sun set a female Scarlet-breasted Sunbird was looking for food in one of the trees in front for my room. 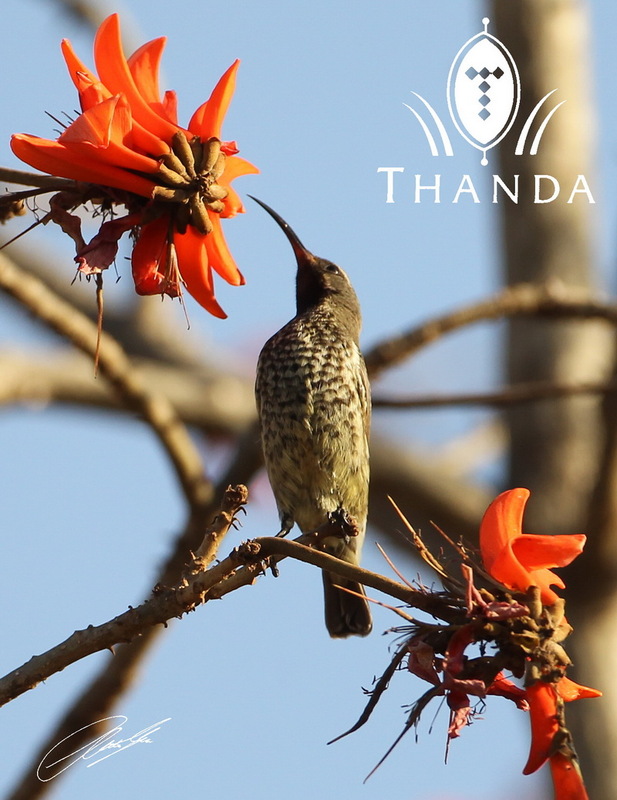 There is never a dull moment on Thanda, even after a day in town! very nice! 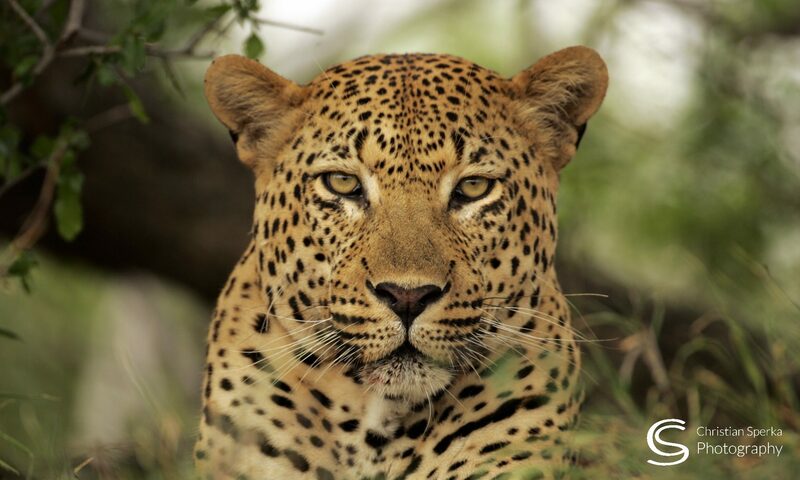 I really enjoy seeing Thanda through your lens. Hope it will always be that exciting for you!! all the best from the Happy Turkey Farm. I should say not. How cool to see the cheetahs as they casually walk by. Awesome zebra pic.Great action impact pic. A little note to Don, Thanks for your part in Christian’s tune it’s AWESOME! !Have a great day!! I think cheetahs were the only thing we didn’t get to see while at Thanda. They are so beautiful. It sure sounds like you have the job of a lifetime!!! We read all of your blogs and we envy you just a tiny bit. Sounds like being on vacation for the rest of your life. We wish you all the best from the Affolters. What a wonderful life! You are living a dream very similar to my own. Good for you and thank you for sharing! Previous PostPrevious A Game Drive in Pictures!